Betting with a good bonus active is always one of the best ways to increase your chances of having a profitable withdrawal. The problem is finding these good Dota 2 bonuses as many of those that are offered by operators have terms and conditions that can be less favorable for you. There are even those that could make it harder for you achieving a profit than not having any Dota 2 bonus at all. Fear not though, because we at eBetFinder have a lot of experience in the industry and are here to guide you to the best bonuses that you can find for Dota 2 betting. With the huge number of websites that we have played on and regularly pay a visit to, we have found a couple of welcome offers that can be extremely valuable. These are the ones that you can find listed above. Even though the welcome offers that we have listed in this article are highly valuable and recommended taking part of, they unfortunately won’t last forever. Once an offer is used, you can’t take part of it again. To carry on increasing your chances of having profitable withdrawals, it’s therefore a good idea to check out temporary campaign offers that betting sites are providing. These type of bonuses are not only offered to new players, but can be used by anyone. 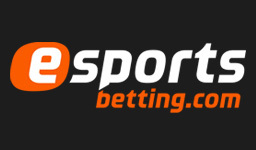 They are however typically only available for a limited period of time and unless you spend a lot of energy searching various betting sites for them or are signed up to all of their newsletters, chances are that the bonus will expire before you know about it. Because of this, we at eBetFinder have created a separate bonus section for temporary campaign offers. 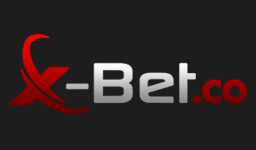 In this you’ll be able to find all of the latest free bets, deposit bonuses, competitions and other betting offers that various operators are providing. This way you don’t have to bother yourself with any unnecessary work, but can just visit this section whenever you’re looking for a bonus. In the beginning of this article we mentioned that there are certain Dota 2 bonuses that have terms and conditions that can make it harder for you achieving a profit than not having any bonus at all. While this can be true, it’s important to understand that it doesn’t necessarily has to be so. 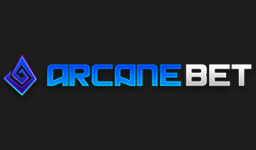 The value of a bonus is mainly determined by its wagering requirement. The lower this is, the better the bonus is considered to be. The reason behind this is quite simple. If you’re forced to place your bets on a certain minimum odd, chances are that you’ll be placing bets that aren’t beneficial for you in the long run. The more you have to do this, the less your expected value becomes. Now the thing is, if you were always placing bets that are profitable for you in the long run, it wouldn’t matter how many times you have to turn over your bonus amount and the minimum odds this has to happen on. The question you’re probably asking yourself now is how the hell do I always place profitable bets? It may not be the easiest thing to do, but it is possible and we have it all explained in our guide about Dota 2 betting tips. 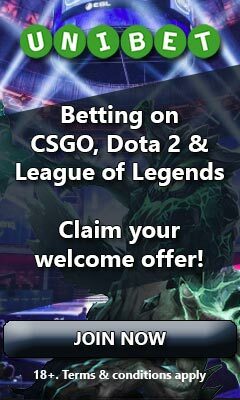 Please note that the best welcome offer doesn’t necessarily mean that it’s the best site for betting on Dota 2. They often go hand in hand, but if you’re looking for the ultimate experience, we also recommend reading about the top 5 sites for Dota 2 betting.